From one icon to another. Just an hour after the news of Prince&apos;s death, Madonna took to Instagram to pay her respects on Thursday, April 21. "He Changed The World!!" Madonna, 57, captioned a throwback photo of the pair together from the &apos;90s. "A True Visionary. What a loss. I&apos;m Devastated." Although longtime friends, Madonna and Prince have rarely been photographed in the same frame together. They were rumored to have briefly dated in 1985 and collaborated on the 1988 song "Love Song," which was featured on Madonna&apos;s fourth studio album, Like a Prayer. More recently, the stars made headlines when Madonna attended the singer&apos;s intimate Paisley Park concert in October 2015. According to The Current, Madonna and her crew — who had just wrapped a concert nearby — began a dance party on stage before she took her spot in the audience to watch Prince perform. Prince reportedly played for over an hour and whispered into Madonna&apos;s ear during the set before calling it a night at 3 a.m. One eerie coincidence: Madonna, Prince and Michael Jackson (who died in 2009), the biggest music stars of their generation, were all born within three months of each other in 1958. 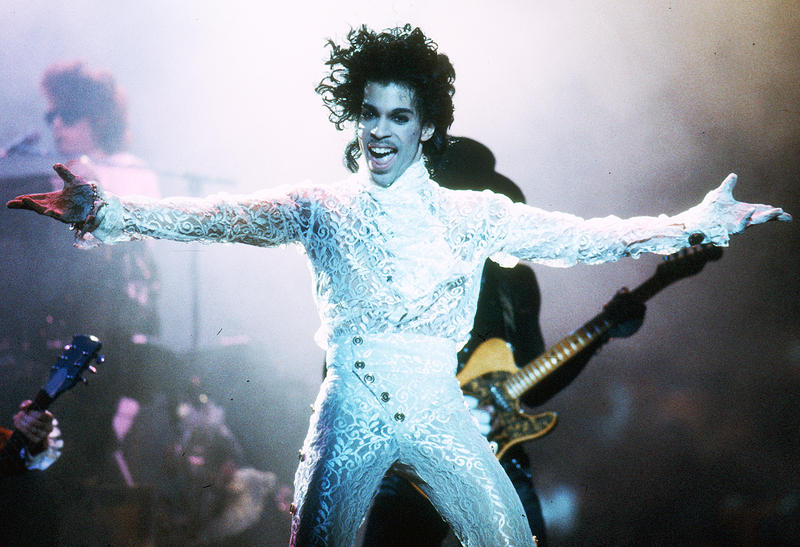 As previously reported, Prince died at his suburban Chanhassen, Minnesota, home on Thursday. On April 15, his private plane made an emergency landing in Illinois and he was rushed to the hospital. He was reportedly battling the flu. "It is with profound sadness that I am confirming that the legendary, iconic performer, Prince Rogers Nelson, has died at his Paisley Park residence this morning at the age of 57," Prince&apos;s U.K. rep, Anna Meacham, and publicist Yvette Noel-Schure, told Us Weekly in a statement. "There are no further details as to the cause of death at this time." The legion of stars who have shared their condolences include Justin Timberlake, Lenny Kravitz, MC Hammer, Wyclef Jean, Blake Shelton, Missy Elliott, Gene Simmons, Boy George, Chaka Khan, Billy Idol, Katy Perry and Keith Urban.